We offer a broad range of personalized gifts for every interest and occasion. If you can conceive it, we can probably create it for you - at a price you're sure to love! We can provide large quantities at reasonable prices and there's NO MINIMUM! If you need something for that special event, we can help you find just what you need. 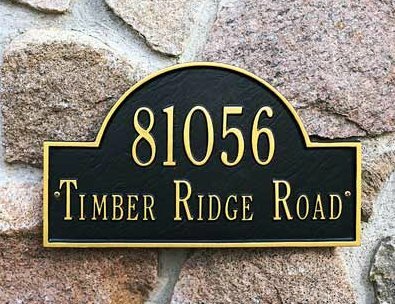 The Whitehall line of personalized plaques and exterior accents will add the finishing touch to your home. These extrodinary products make inexpensive but long-remembered gifts for others as well as yourself! 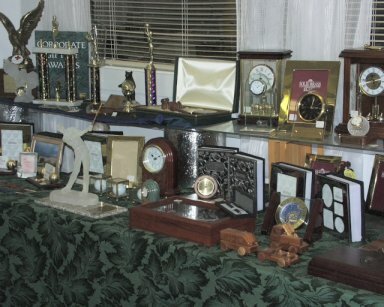 Please see our display of these items here. We do gavels and sounding blocks for all types of groups. From gavel bands to handsome mounted gavels on wall hanging plaques, American Nameplate has a wide variety to meet your needs. Need a small brass plate for your presentation piece? We can do that as well. Give us a call and we'll help you decide what best suits your needs. American Nameplate is your gift specialist!